After the 2015 election, I predicted on Twitter that when critical decisions are to be taken, Yemi Osinbajo, the token Southerner in Aso Rock, would be sent to go and buy “guguru and epa.” This has proved prescient. The vice president was barred from attending a national security briefingon the grounds that he did not have security clearance. But who can have more clearance than a man elected by the people? How did Buhari himself get his? On August 30th, 2015, the vice president was again publicly embarrassed when armed men shut down the Aso Rock Chapel, preventing him from worshipping there. After shouting myself hoarse, warning Nigerians not to elect Buhari as president, I decided to keep quiet and watch things unfold from the sidelines. Fela said about Buhari’s first-coming: “The people wey no sabi dey jubilate, the people wey sabi dey shake their head.” It is now passed 100 days since Muhammadu Buhari became president and many of my worst fearshave been confirmed. 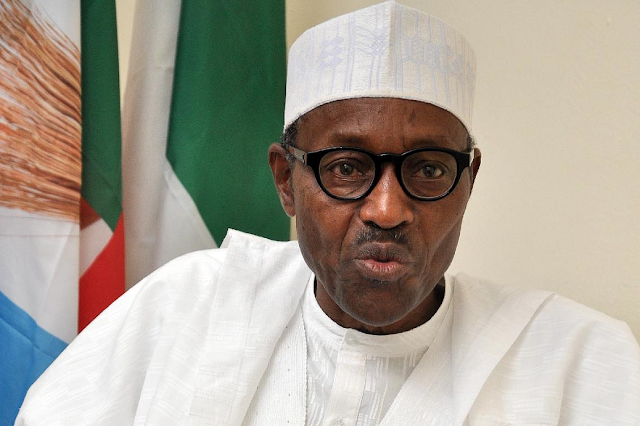 President Buhari is a ticking time-bomb that might precipitate the disintegration of Nigeria! In the middle of a national economic crisis, the president has been comatose. He made himself the Sole Administrator of Nigeria; a role not envisaged by the Constitution. These 100 days, Buhari has been the Minister of Finance, the Minister of Petroleum, as well as the Attorney-General. He has been the Minister of Education, even though we are yet to see his school-leaving certificate. He alone has been the minister in all the ministries of the federal government. As a result, the country has ground to a halt. There has been no national direction, no economic policy; no government. Only bombastic anti-corruption rhetoric. Not surprisingly, the economy has gone from bad to worse. Official reports from the National Bureau of Statistics indicate that while like Nero, Buhari fiddles as Nigeria burns, our GDP has plummeted to 2.35 percent; a 40 percent decline under Buhari. Job-creation has dropped by 69 percent. The CBN, in its Monetary Policy Committee Report of August 2015, complained that: “lack of fiscal directives is behind (Nigeria’s) current economic woes.” This is a big indictment of the administration. The coming of Buhari has brought about stagnation in domestic and foreign direct investments. The stock market has nose-dived, with investors scared away due to uncertainties arising from the government’s indecisiveness in the face of national economic adversity. It is now clear that Buhari obtained votes from Nigerians during the election through false pretences. Contrary to his highfalutin campaign promises, he has not stabilised the international price of oil. Instead, it has fallen drastically from $60 to $40. Buhari has not made the naira equal to the dollar. As a matter of fact, it has depreciated considerably under his short watch. He has not used his vaunted military experience to defeat Boko Haram. On the contrary, the insurgency has become far more deadly, with over 1,000 innocent Nigerians killed within just three months. In my years as a public policy analyst, I have never seen a government anywhere spend its vital first 100 days doing absolutely nothing like this one. In defence of the president’s ineptitude, Lai Mohammed said in a recent interview that: “Buhari never promised he was going to do anything in 100 days, that’s the honest truth.” This admission by the mouthpiece of the APC confirms conclusively that President Buhari has wasted 100 days of Nigerian lives. Such improvements as are noticeable are legacies of the Jonathan administration. It is the height of deception that the do-nothing Buhari government has been trying to take credit for them. If we are now celebrating the end of polio in Nigeria, it has nothing to do with Buhari, and everything to do with Jonathan. If we are indeed well on our way to self-sufficiency in rice production, it is because of the activities of Jonathan, and not because of the inactivity of Buhari. In three months, the Buhari administration has added nothing to past achievements. On the contrary, it seems inclined to bring things to a standstill. Instead of providing effective leadership, Buhari has opted for a campaign of calumny against the Jonathan administration. Day-in, day-out, we are regaled with outrageous declarations without substantiation about how bad the previous government was, and by how much it ran down the economy. Only the gullible would fail to realise this is just a pathetic attempt to divert attention from the incompetence of the Buhari government. Buhari claims he inherited an empty treasury. Nevertheless, he found over $30 billion in our foreign reserves. He says: “Jonathan’s ministers stole 150 billion dollars,” without telling us where he got this outlandish figure from. We are told one million barrels of oil were stolen every day under Jonathan, without any shred of evidence to back this up. Buhari even went on record to claim Jonathan diverted $700 million from the $1.1 billion Chinese loan for the Lagos/Kano rail project. But the evidence shows the loan was for three different projects, with only $400 million earmarked for Lagos/Kano rail. Governor Oshiomhole of Edo State says a senior official of the Obama administration revealed that a Jonathan minister stole $6 billion dollars, no less. This has been denied by the Americans. He claims a consultancy fee of 140 billion naira was paid for the Second Niger Bridge project. However, the Bureau of Public Procurement says the total cost of the bridge is 108 billion naira. Oshiomhole should face his state and desist from further cheap newspaper blackmails. Someone needs to remind the APC that election campaigns are over. Once bitten, Nigerians are now twice shy. APC won by manipulating the media. It cannot expect to rule using the same trickery. Buhari’s so-called fight against corruption has already become a farce. The first salvo was to lock up former Jigawa State governor and prospective 2019 PDP presidential candidate, Sule Lamido and his two sons in jail with extreme prejudice. Then when Saraki rocked the boat by steamrolling himself to the Senate presidency without APC endorsement, his wife was peremptorily invited for lunch by the EFCC. The Senate has now retaliated by putting the EFCC Chairman himself on trial on allegation he stole trillions of recovered naira. The truth of the matter is that any anti-corruption probe is likely to open up a can of worms. Buhari is surrounded by corrupt politicians. Indeed, the APC is so corrupt, the president has not been able to find 36 “clean” ministers among his colleagues in over 100 days. That is some kind of a negative record. After claiming he did not have the 27.5 million naira required for the APC presidential nomination papers and had to borrow it, Buhari now claims he has 30 million naira sitting pretty in his bank account. How does he account for this discrepancy? Some of us are also wondering where he got all the money used to finance his expensive election campaign. If the president wants to probe, he should go right ahead and do so. However, the current shenanigans of trying people in the media, and declaring everybody PDP guilty without trial, only attests to the lack of sincerity. APC governors, including Amaechi and Kwankwaso, are also accused of corruption. Fashola of Lagos is alleged to have spent 78 million naira setting up a personal website. These are the president’s political buddies. We are waiting to see if his famous probe will also reach them. We now understand his thinking. Fulani herdsmen continue to kill innocent farmers while Buhari sees no evil and hears no evil; after all, he called them “my people” to Lam Adesina of Oyo State. Of the 32 critical appointments he has made so far, 27 are from his native North and only five from the South. Not a single appointment from the South-East. When queried about this blatant discrepancy, Femi Adesina from the South, and not Garba Shehu from the North, was craftily trotted out. Tongue-in-cheek, we are told the appointments were made strictly on merit. But since when did the North acquire a monopoly of merit in Nigeria? How can the region with regularly low cut-off JAMB scores suddenly become the citadel of the most meritorious public servants in the country? The Buhari administration is shaping out to be the most incompetent and inconsequential in the history of Nigeria. It is full of sound and fury signifying nothing. What exactly was the point of electing a “Mr. Do-Nothing” as president of a country of 170 million people? After 100 days, it should now be abundantly clear that Buhari is not qualified to be president of 21st century Nigeria. The president has neither agenda nor direction. His cardinal objective is apparently the prosecution of Northern hegemony. The APC desperately needs to organise an intervention, before Buhari drives the country into the ditch. How can an ethnic champion be expected to lead Nigeria into the future? It is time to admit it. Electing Buhari as president was a big national blunder. Femi Aribisala is a scholar and international affairs expert. He is currently an iconoclastic church pastor in Lagos. He is also a syndicated essayist for a handful publications in Nigeria. He tweets from@FemiAribisala. Culled from www.thetrentonline.comThe opinions expressed in this article are solely those of the author.